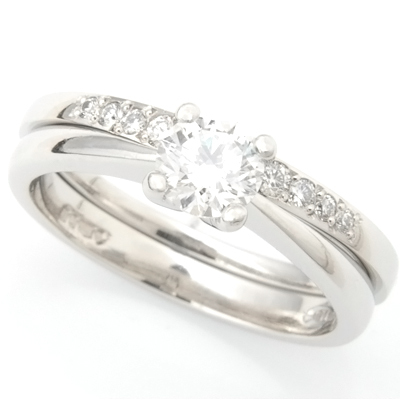 Platinum Diamond Set Fitted Wedding Ring to Solitaire Engagement Ring — Form Bespoke Jewellers Ltd. 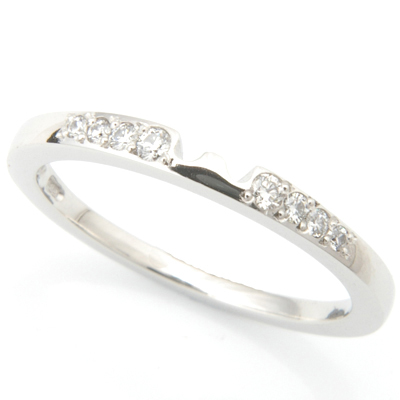 This fitted wedding ring is handmade to perfectly compliment a solitaire engagement ring. The customer came to us with an engagement ring that they had bought elsewhere, looking for a platinum fitted wedding ring to sit flush against the solitaire setting. The team at Form Bespoke Jewellers handmade this elegant band which compliments the dimensions of the original ring and fits perfectly against the diamond setting. The customer decided to have the wedding band set with 8 x 0.01carat G colour VS clarity round brilliant cut diamonds which brings the wedding ring to life and is a perfect compliment to the engagement ring.